“Plant with Kindness and Gather with Love” is the theme for this year’s Talahi Plant Sale, presented by the Knoxville Garden Club and the Garden Study Club at Lakeshore Park. 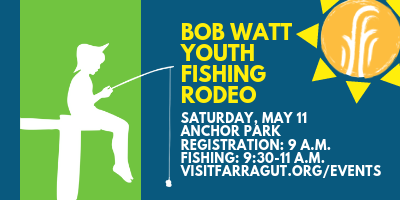 The 55th annual event takes place from 9 a.m. to 2 p.m. Saturday, April 13. The highlight of the sale is the assortment of native and non-native plants grown in members’ gardens and dug up to share. There will be tents full of perennials, annuals, wildflowers and herbs. There’s also a shopping area featuring area vendors with garden accessories, including Sweet Pea, Back Porch Mercantile, Tip Top Tropicals, Happy Envelope and more. A favorite artichoke spread is featured at the event’s Kudzu Café, and goods by celebrity bakers, including media personality Abby Ham, will be at the on-site Sugar Shack. 2019 plant sale chair Christy Overton is especially excited about a new children’s area. Kids will be able to get their hands dirty while potting their own plants to take home. “We want them to learn about the plants,” Overton says. This is the biggest fundraiser for the two clubs, and more than $20,000 was raised last year. Grants from the proceeds stay local, with money going to support the gardens at Blount Mansion, Dogwood Arts, Legacy Parks and many more “green” causes. Admission is free, and the sale goes on rain or shine. 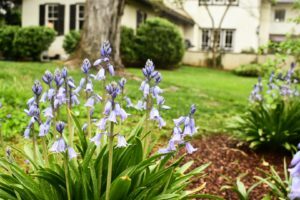 Hometown arts and culture advocates Caesar and Dorothy Stair will open up their beautiful English-inspired gardens at Hilltop Farm this weekend as one of this year’s Dogwood Arts featured gardens. The serene garden rooms and statuary complement a breathtaking view of the Tennessee River from the home’s perch on the north side of Lyons View Pike. 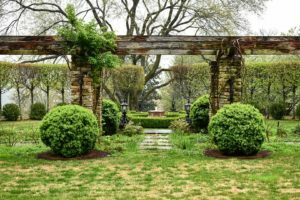 The primary landscape designer was the legendary Ryan Gainey of Atlanta, who passed away in 2016. Gainey was also responsible for much of the landscape design at Lakeshore Park. Caesar Stair himself will lead four one-hour tours around the property on Saturday, April 13, at 10:30 a.m. and 12, 1:30 and 3 p.m. On Sunday, April 14, he will welcome guests at 12:30, 2:30 and 3 p.m. There is no onsite parking at the home, and visitors should head to 5837 Lyons View Pike for shuttle parking. The shuttle will make loops to the nearby home, but to catch a complete tour, get to the shuttle about 20 minutes before tour start times. 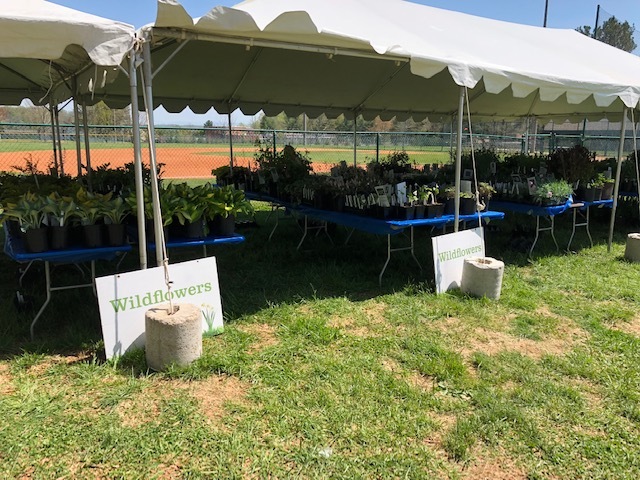 Flower power funds many of the Knoxville Breakfast Rotary Club’s service projects, with its annual spring wildflower sale being one of the club’s major fundraisers. The 27th annual sale takes place from 8 a.m. to 3 p.m. Saturday, April 13, at Rocky Hill Center, 7545 S. Northshore Drive.